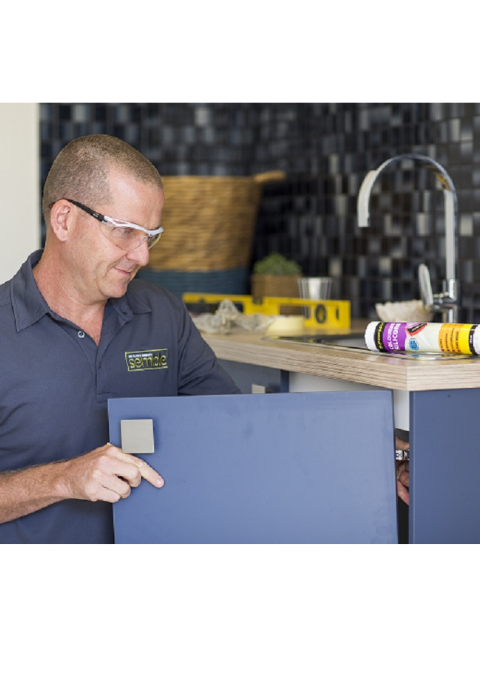 Home > Resources > Smart Products > Kitchen End Panels – Do I really need them? 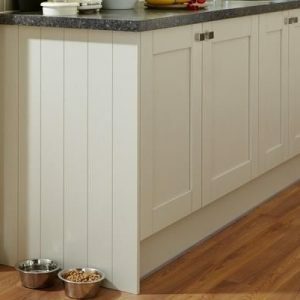 Kitchen End Panels – Do I really need them? 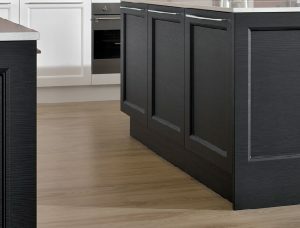 So do I need Kitchen End Panels in my design? Here at Semble we see thousands of saved kitchen designs from all over the country. 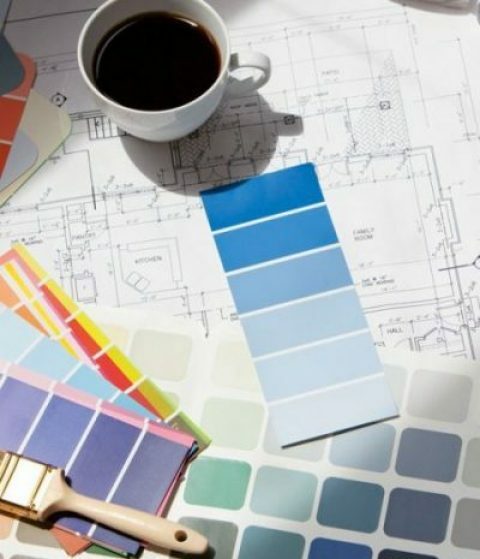 When deciding to renovate a kitchen, many people will take the next step of designing the layout themselves. After all, we’ve all heard of the working triangle, what else is there to know? Panels are used to cover the exposed ends of a cabinet. When a typical flatpack cabinet is purchased, the only part of the unit with colour is the doors. The carcass components – the back, bottom and sides – are made from carcass white board. But often a run of cabinets will terminate at a doorway or kitchen entrance and so the end panel is a simple way of concealing this area without altering the actual construction of the cabinet piece. End panels will typically match the cabinet doors for style and colour and so will look completely in place once finished. 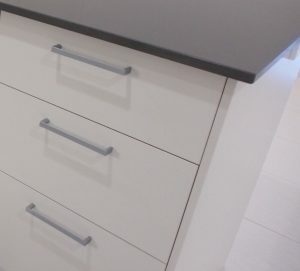 End panels usually do not have a functional or structural purpose since they are added during the installation process and are therefore independent of the cabinet construction process. 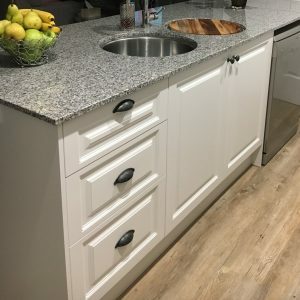 While many people will resist the idea of end panels, they can lend the illusion that the kitchen joinery is solid and well-constructed and many avid Kitchen Renovators prefer their look. We sometimes use end panels to finish off the inside cavity for dishwashers and washing machines. This is optional but you will need to consider sealing the kick return space underneath each carcass to minimise movement of moisture and vermin. If using a panelled or profiled door style than the use of End Panels will make a striking statement to match doors and drawers panels. If you are faced with a tight budget and / or a tight timeline then you will want to think about any points of risk in your design. End panels are a simple way of finishing off a cabinet run when installing. Not only do you cleanly finish off the design by covering carcass ends but it is easy and quick to scribe to the floor. End Panels are colour matched to follow your door colour. This allows them to blend into the design. This does mean that the thickness of end panels must be allowed even though only a modest 16mm or 18mm in width. With any new project, our motivation is high to finish the job and we all want to be in a position to enjoy the fruits of our work. Of course, most of us have a budget to keep in mind also. By designing tolerance and finishing details into our project from the start we can reduce risk and increase our chances of a successful installation. Of all the places to take shortcuts or make budget savings this is the last one! If you would like one of our professional Kitchen Designers to look over your design then please email us at sales@semble.com.au for a free design review. 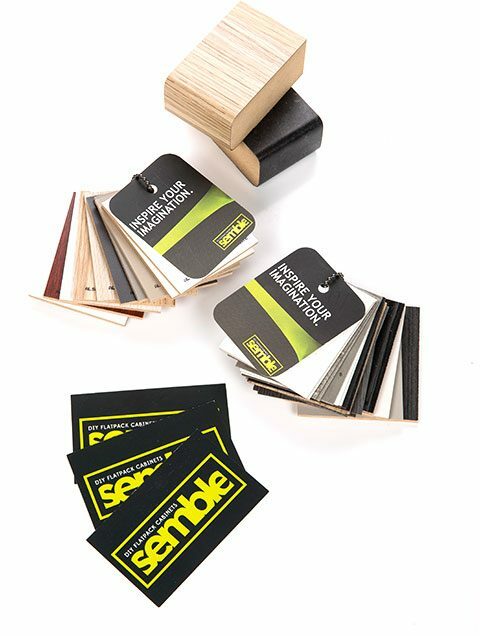 Simply tell us the Semble design reference number and we can mark up your design with any suggestions.